A staff meeting agenda usually consists of many phases and ideas divided into several parts. A staff meeting agenda template is used to put together these ideas into a written report that can be used to run a meeting. A meeting is usually needed if there is a problem or an issue or any type of new procedure that is taking effect in a company or business. When completed, a staff meeting usually ends in decisions being made that impact a company and a companies employees. A staff meeting agenda can be formal or informal and can include stockholders as well as company shareholders and CEO’s. Often a staff meeting will be divided by department and only department heads and employees under those positions will be attending. No matter what the situation there has to be some sort of management to the meeting and that is where the staff meeting template comes into play. There had to be proper arrangements and management in order to achieve the intended results. Have you Been Looking for a Staff Meeting Agenda Template? You are on the right track by navigating to this page. Here you will find a template for developing effective staff meetings that is free for you to download and to use as often as you would like. Also, the template is able to be changed and customized into any form that you need. You can change the script, the font, the print color, save the template as a PDF or a file, almost anything you want. The template is simple to use and can be downloaded right here right now. When using the template the first tip is that you may want to add a few extra topics. These include a Call to Order, a Budget Report, an Ongoing Project, an Administrative Report, Open Discussion, and Teams. 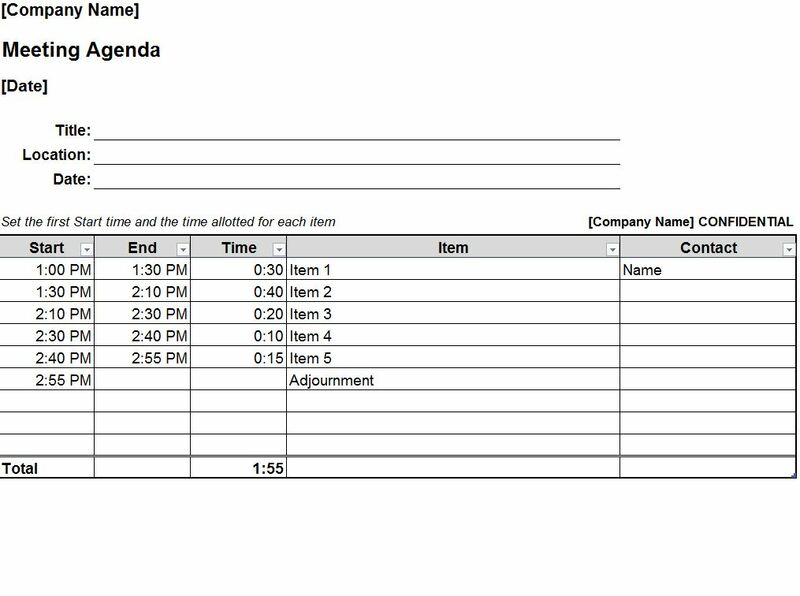 The second tip to create a staff meeting agenda template is to make sure that everyone attending understands the reason why the meeting has been called. The third tip is to choose ideas that are focused on the central idea of the meeting. The fourth tip for a staff meeting agenda template is to make sure and look back at older agendas to prepare for time estimations. Do not forget to put a preparation start up idea into the agenda, and remember to hand out the agendas before the the meeting begins. This staff meeting agenda template will help make your staff meetings flow quicker and easier while making you look and feel more prepared and ready for your meeting. Download here for free today.